Property 51: Savings! Summer Openings! SANDY BEACHFRONT! Property 63: High End Remodel Ground Floor Ocean View with AC. 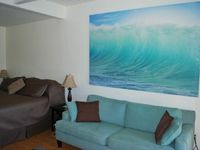 Property 68: #241 Second floor condo, easy access to best beach on Maui! Property 69: Newly remodeled in 2016!! Breathtaking ocean views!! Property 71: Condo in Kaanapali, Maui - Much Lower Cost Than Hotels! Property 73: Maui is calling. We would love to have you here. Property 75: Ocean Views - Best Location! Across Street from Beach/Rooftop deck! 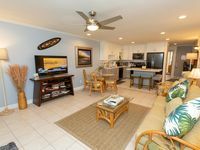 Property 78: Kamaole Sands #10-205 Ocean View, Fountain View, Great Location, Great Rates! Tropical Retreat, Updated, Steps to Kamaole Beach II, Check Out Our Reviews! Property 83: Tropical Retreat, Updated, Steps to Kamaole Beach II, Check Out Our Reviews! Property 87: Updated Condo Steps Away from Beach with a/c throughout! Property 88: STOP, read what you get... Plus Ocean Front. Property 89: Picture Postcard Ocean Tropical Setting. Heated Saline Pool. Property 93: Terrific Ocean View Penthouse Suite! Property 94: Look No Further... We've Got it All! Property 96: Upscale, Remodeled, Fully Loaded with Amenities, and just steps to the beach !